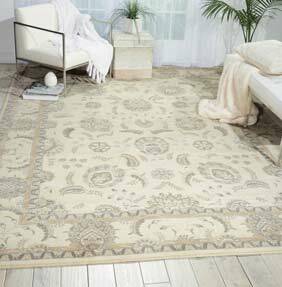 The name gives a clear clue of the inspiration behind the Persian Empire rug collection by Nourison. Each rug has a timeless design which transforms any room which it calls home and the classic detailing of Persian carpeting has been woven into each individual design. All Persian Empire rugs are power loomed using 95% New Zealand wool and 5% viscose fibres. Each features an intricate and mesmerising pattern which will change the feel of any room it calls home. There are a wide choice of standard sizes too.